By now, we all know the headline: in November 2017, Amazon Studios spent $250 million to outbid Netflix for television series rights to J.R.R. Tolkien’s world-renowned Lord of the Rings fantasy series. Produced in conjunction with the Tolkien Estate and Trust, publisher HarperCollins, and New Line Cinema, the project will explore new storylines preceding The Fellowship of the Ring, with the option of an additional spinoff series based in and around Middle Earth. ● Amazon’s deal for Lord of the Rings includes a five-season commitment, with production contractually required to begin within two years. ● When the costs of casting, producers and visual effects are factored in to the price tag, the series is expected to cost north of $1 billion (putting it on par with Amazon’s reported mega-deal for Liu Cixin‘s popular Remembrance of Earth’s Past sci-fi book series). 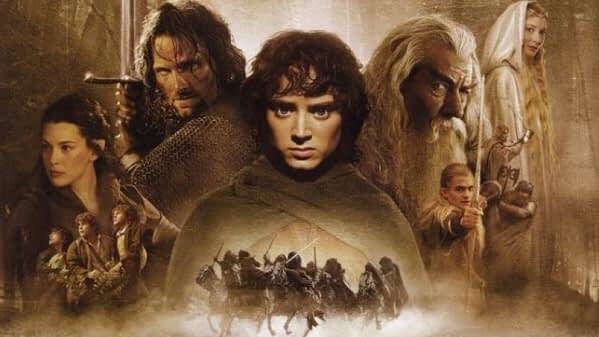 ● Though New Line (and parent company Warner Bros.) never had television rights to Lord of the Rings, Amazon realized that they may need to use footage from the films; so New Line co-president Carolyn Blackwood and Warner Bros. Picture Group chairman Toby Emmerich were also directly involved in negotiations. ● One very nasty stumbling block that was avoided, at least for now: Bob and Harvey Weinstein, who controlled the Tolkien film rights at Miramax and inked a profit sharing deal with New Line in 1998. The Weinsteins would go on to use that agreement as the basis for a lawsuit to secure profits from the Hobbit films, eventually collecting $12.5 million from the first Hobbit film but nothing from the other two films.